Football fever can be seen these days in the world because of FIFA World Cup 2018. The love for FIFA cannot be expressed in one word or in a line for its fans. Because this World Cup made the fans go crazy not only to support their team but also to know about everything regarding the matches and the team players. Well, we all know that football is played by human beings like us but have you ever seen a Kangaroo playing football on the ground? 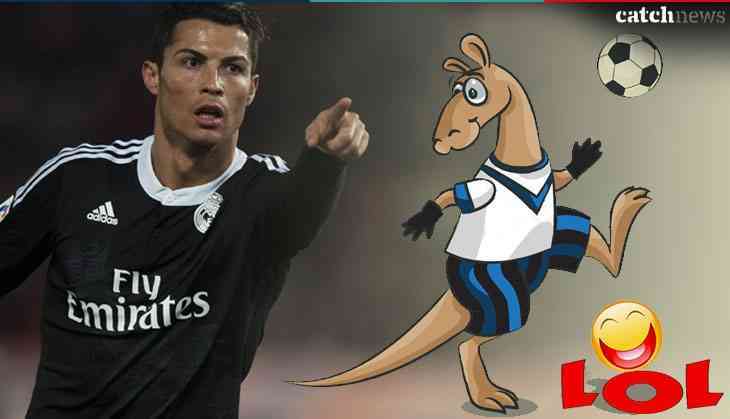 Hopefully not, but on 24th June (Sunday), a Kangaroo played a football match and he became the topic of discussion for netizens. On Sunday, the match was played between Australian female footballer team i.e. Belconnen United and Canberra and all of sudden, a kangaroo jumped on to the pitch of football ground, and paused the match for around 30 minutes. After watching him on the football ground, we must say that animals can also soccer and you all understand that why Kangaroo is the national animal of Australia. Currently, Australian football team is playing World Cup match and under its group, France and Denmark also the participating team. In the first match, Australia had to face the defeat against France. While the second match was draw played against Denmark and now the third match will be played today, i.e. 26th June 2018 against Peru. If Australia wins the match against Peru then the team will have the opportunity to go further. However, France had already got the success after winning the two matches in their group. The luck of the Australia team will be decided today.